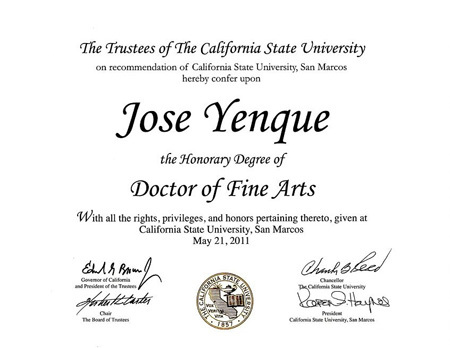 Jose Yenque, noted Humanitarian and Actor, received on May 21, 2011 an Honorary Doctorate of Fine Arts from the California State University, San Marcos. Details provided further below. 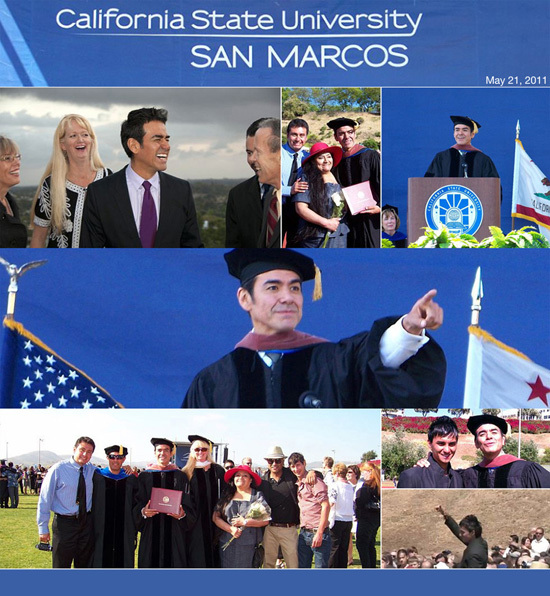 Click on above image for link to article.